Custom Bracket kit for the installation of the DMI Quic'n Easy receiver hitch OR Cush'n Combo Flat Drawbar Hitch. Makes installation easy! Note: Spare tire must be removed and relocated when hitch is installed. 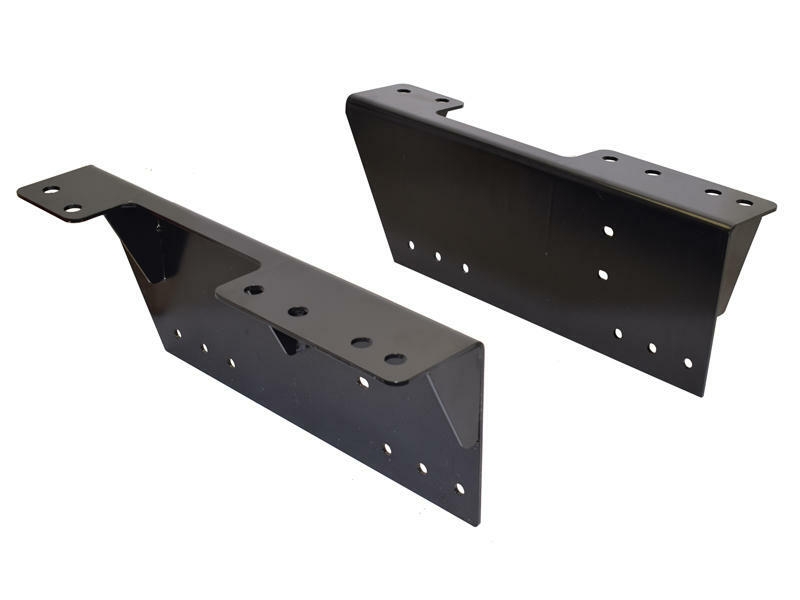 Located in Bluffton, Indiana, United Truck Parts manufactures the DMI hitch and other products with the same dedication to quality and rugged strength that has come to be expected of the DMI hitch. All fabrication, welding, and assembly is completed in the USA. For over three decades DMI hitches have been meeting the most demanding requirements that our customers have asked. Most commonly used in rigorous agricultural applications, the DMI hitches are also popular with contractors and recreational users because of the unique combination of benefits. Besides offering 14,000 lbs towing capacity (weight carrying) and a durability which often lasts longer than your truck, DMI's huge hookup window and coil-spring cushioned ride undoubtedly delivers the best towing experience you will ever have!